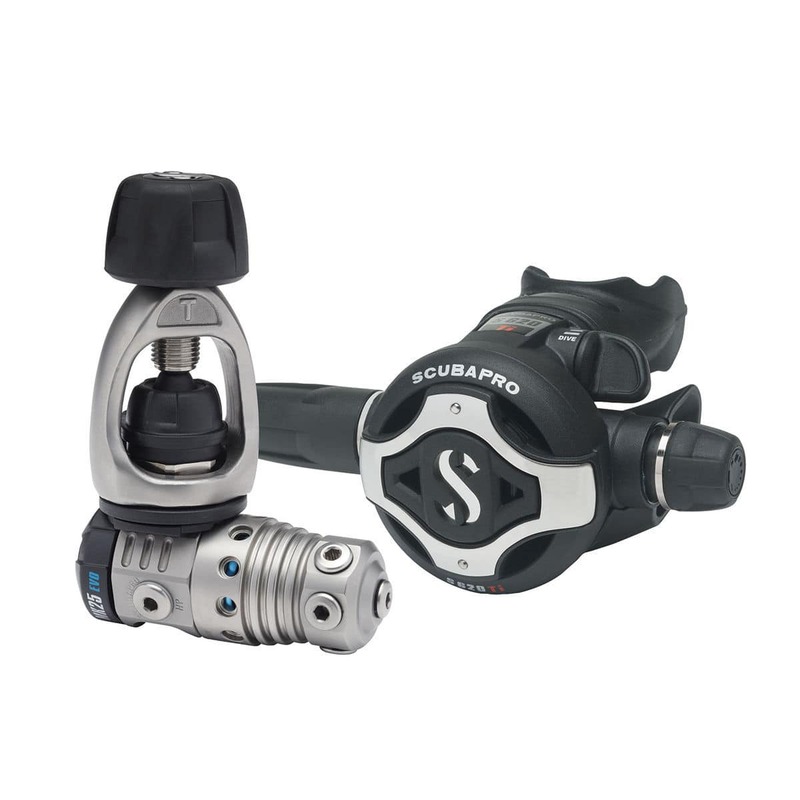 SCUBAPRO’s top regulator technology is on display in this high-tech, ultralight reg system. 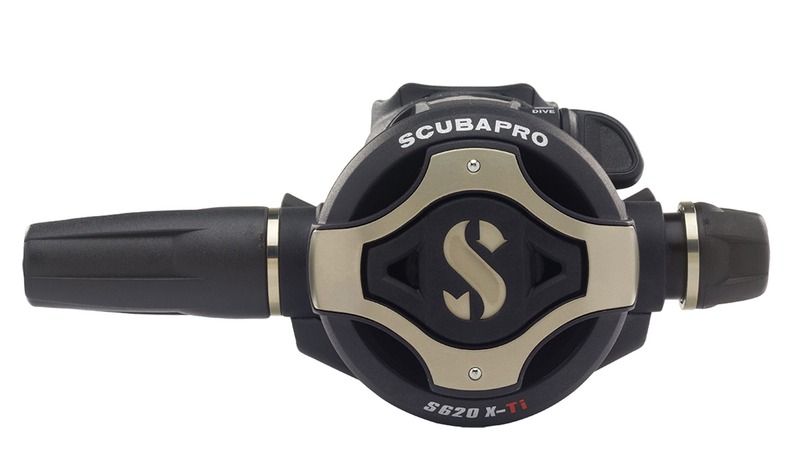 The MK25T EVO is machined from a solid block of titanium which will not corrode, even in concentrated saltwater conditions, promising years of trouble-free use. It offers excellent resistance to freezing, superb inhalation sensitivity and instant delivery of air on demand. The new S620 X-Ti embraces the best features of SCUBAPRO’s renowned S600 in an upgraded, state-of-the-art design. 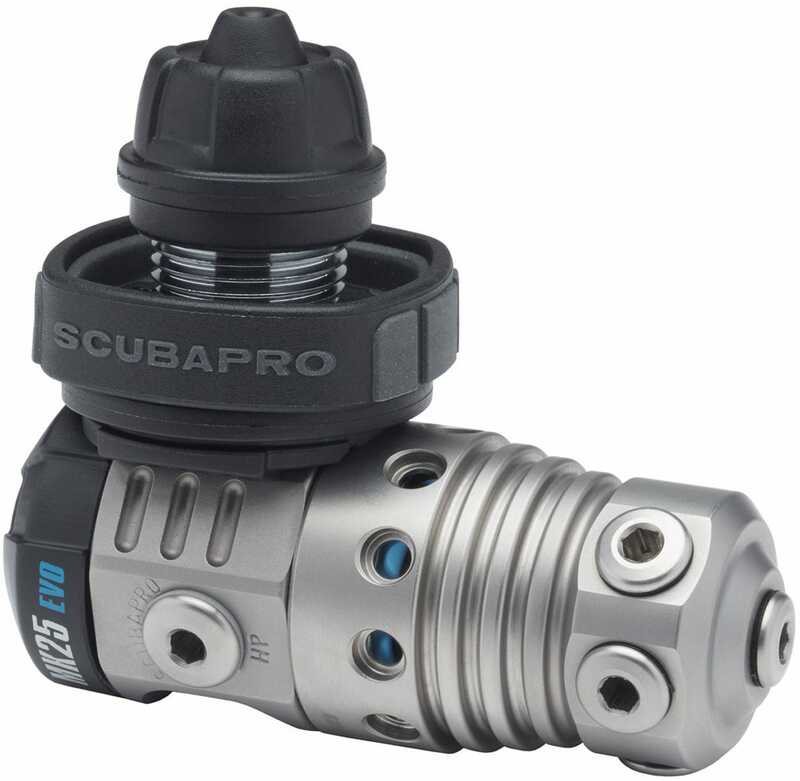 Smaller and lighter but using the same-sized diaphragm, the S620 X-Ti delivers effortless airflow under all dive conditions. 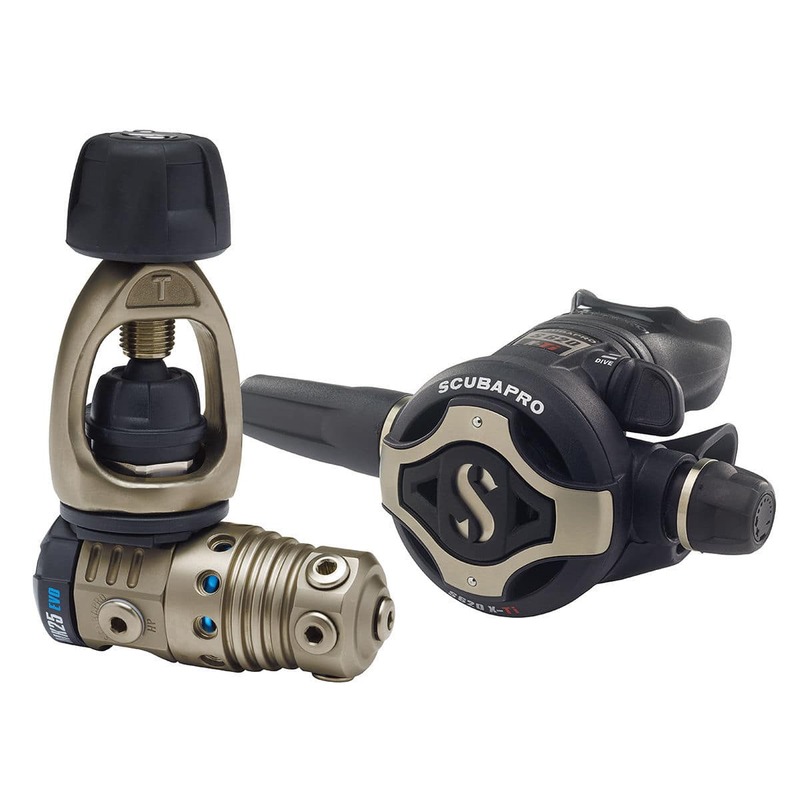 The titanium inlet tube is super-efficient, the large purge button improves water circulation and the new exhaust tee enhances overall performance.